A teddy bear is everybody's favorite stuffed animal and you can make a teddy bear with one of these free teddy bear patterns. 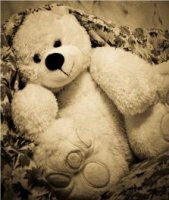 Adults and kids alike love teddy bears; they are our snuggly friends and look so cute sitting on a bed waiting for us. A teddy bear becomes much more special when you make it yourself. Choose from the list of teddy bear patterns below.